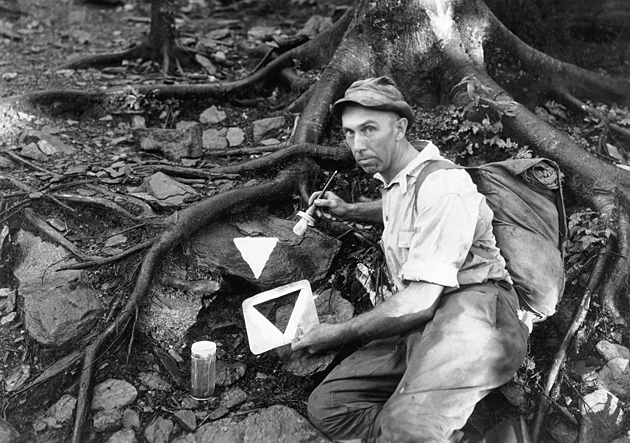 Albert “Dutch” Roth lived from 1890 to 1974, and left an astonishing collection of amateur photographs which document the early years of the Great Smoky Mountains National Park. 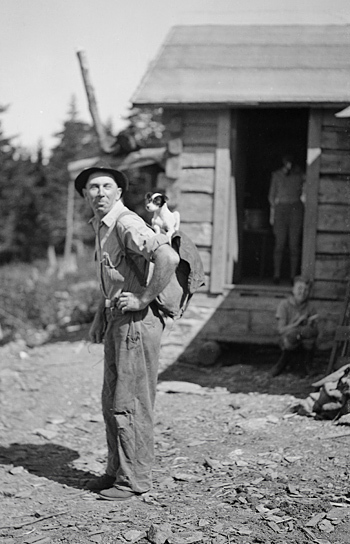 Roth’s photos and journal of his hiking adventures offer a rare and intimate view of the Smokies from the 1920s through the 1950s. Up to 1958 Dutch had climbed every Smoky Mountains peak and been up Mt. LeConte about 90 times, covering every trail several times and sometimes hiking without a trail, straight up the mountain. I feel a special attachment to Dutch Roth, having spent some time restoring many of his photographs for a collection that hangs in the University of Tennessee Libraries. Working up close, examining every small detail of his images, caused me to feel his deep love and respect for these Smoky Mountains. In fact, the spirit I found in these old photographs had a big impact on my own life and photography. Occasionally, Dutch will make an appearance on these blog pages, with pictures and quotes from his journal. I hope you enjoy his presence as much as I do. I truly enjoy all your photos and the stories from Dutchs journal. Check back … I will have more of Dutch Roth’s photos and journal entries soon. I have an original letter that my grandfather wrote in 1938 on the original stationary from the Mountain View Hotel. My grandfather, George C. Harper, was an artist and traveled to Gatlinburg to do many of his etchings. That’s cool! I love Smoky Mtn. history. Correction….the letter my grandfather wrote was in 1928 not 1938. When was the Mountain View Hotel destroyed and what is in it’s place? I am what I call a Mountain View Histry nut. I guess the histroy, the rustic feel is something I wished I could have experienced. You could call my interest kind of cRaZy!! I have probably the worlds largest collection of orgininal Postcards from the Mtn View…..(well at least as I think it is) haaaa. I have about 75 cards!! plus a match cover, a canceled envelope, original Jack Huff pic cards, and numerous brochures. BILL: I am up here in Gatlinburg right now and will come and see you. CINDY: The Mtn View closed in 1985 I believe and about 1990 it was unfortunately sold by the family of the then oweners that bought it in the 1950’s. A developer tore it done (sad sad sad) and they built an amusement park with rides and so forth. It eventually did not work out and has been closed and abandoned as far as upkeep for a long time. Dutch was a good friend and hiking companion during my early years with the Smoky Mountain Hiking Club, beginning in 1948. Sam … good to hear from you. I feel like Dutch Roth’s spirit got inside me when I spent a few months working on his photos for a display at UT Libraries. The photos still hang on the 6th floor walls.